We'll match you with the perfect method acting teacher today! Check out some of our most popular teachers near Calabasas, CA including Los Angeles, Long Beach, Glendale, Burbank and Pasadena. Method Acting requires concentrated focus on character development and commitment to that character. 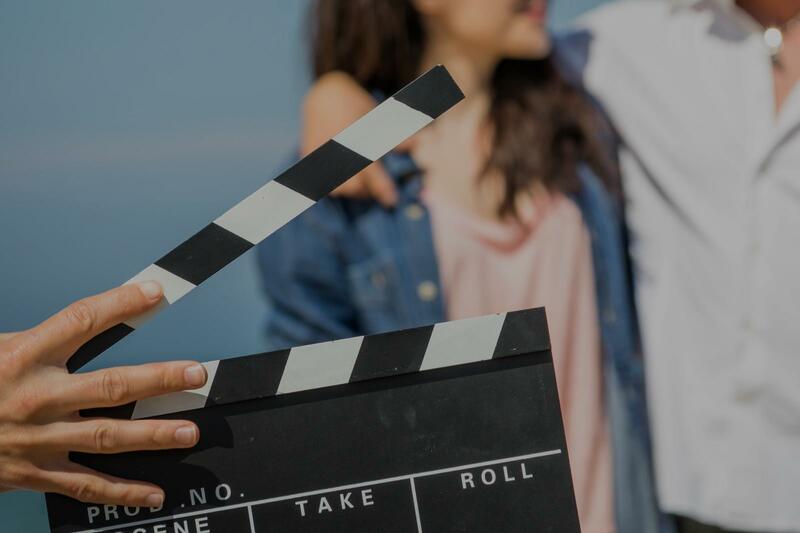 The importance of maintaining the "reality" of the character is of optimal importance and these lessons will allow the actor to establish a strong, self-contained character that can function successfully in the role. Individual and small group instruction in vocal and/or piano technique, including piano chording technique and instruction over all musical styles, including all ages. Acting coaching for monologue preparation, scene and character development. All instruction is personalized/customized to the student's needs. Includes audition preparation, vocal techniques for therapeutic needs, and overall instruction in wellness practices for artistic longevity. Includes warm-up exercises as well as performance development, demeanor, and execution. Emphasis on creating and strengthening positive habits as opposed to negative discipline. Personal, professional, practical. Additional Skills/Interests: Show dance including jazz, some ballet, tap, and modern; piano accompanying; sky diving; bike riding; gardening; teaching reading and writing, as well as working with students who have speech and language disabilities; and multiple philanthropic/church involvement and activities, including handi-crafts creations. Every lesson is customized to the specific needs of each student. Each lesson includes work on vocal essentials like breathing, hydration, and anatomy, as well as technique, work on specific, student-chosen songs, vocal and physical exercises, performance tips, music theory. Fun but educational! Voice in all Styles from Pop to Rock to Country to Classical; Vocal Performance in all styles; Music Theory; Piano, including Sight-Reading and Chord Theory; Theatrical and Acting Coaching: Audition Preparation; Song and Music Preparation; College Audition Prep; Resume Preparation; Vocal Breathing Techniques; Reading; Composition; Special Education Tutoring. Cathy is a great and caring teacher who helped me correct the vocal problem I was having. I highly recommend her and hope to work with her again in the future. Cathy is patience and methodically, intuitively Planning lessons that are specific to my personal goals. Cathy was terrific! My daughter had one week to prepare for a very important10 minute presentation and Cathy gave great advice and was truly invested in helping her be her best self with poise and confidence. Definitely recommend her! I studied at the Moscow Art Theater school, the birthplace of Stanislavki's System. I've been teaching acting for 5 years and my students have gone on to gain acceptance into Harvard University, Yale University and NYU. I specialize in audition technique, cold reading technique, Shakespeare performance, scene study, voice, speech, physical acting, and character creation. I love working with students of all ages and experience levels! I can't wait to meet you! I love sharing the techniques I've honed working with Steppenwolf, Chicago Shakespeare and other Tony award winning theaters. Whether you are looking to strengthen a career in film/T.V. or Theatre, we will learn to quickly drop into a character, raise the stakes, and make choices to create an exhilarating performance. The ACTOR is above all an ARTIST. My approach is in depth emotional availability exercises. I'll strive to help you to know yourself fully and truthfully in order for the characters you portray to have the same authenticity. I have coached Actors in London and Paris including Shakespeare and other Classics. I can help in analyzing a scene without stress. I'm a well recognized ACTING TEACHER from PARIS. I taught at the NATIONAL FRENCH ACTING SCHOOL "COURS FLORENT" which include alumni such as DIANE KRUGER, GAD ELMALEH, AUDREY TAUTOU from the feature "AMELIE". I earned a reputation for my Pattie Martins Method because it worked in giving students the skill to cry on cue on stage through a gentle process. I'm a well recognized Director and ACTING TEACHER from PARIS and London before that. I previously taught at the NATIONAL FRENCH ACTING SCHOOL "COURS FLORENT" which include alumni such as DIANE KRUGER, GAD ELMALEH, AUDREY TAUTOU from the feature "AMELIE" among many other CANNES Festival associated names My youngest student Jules Houplain is currently acting alongside JULIETTE BINOCHE in "Celle que vous croyez" 2018 Feature Film. ence through a Parisian gaze. I will also make scene analysis easy and stress free for you. I have vast experience with the classics such as Shakespeare, Greek Authors, etc and Contemporary. I’m a professional actress, graduate of American Academy of Dramatic Arts. I’ve been teaching for 5 years. I have a lot of experience with audition preparation, monologue, scene preparation, all ages welcome, all levels welcome. Lessons are customized and catered to the needs/goals of each student. I’m a professional Belly Dancer, Actress and Model. I graduated from the American Academy of Dramatic Arts in Los Angeles. Originally I’m from Russia. I’ve been studying belly dance all my life and started performing at the age of 7. I got interested in belly dancing watching Bollywood and Middle Eastern movies. I’ve been studying ballet, ballroom dancing, musical theater, but belly dance took my heart. Every day I was practicing, making my craft better and better. Now I’m performing at numerous events, TV programs in USA. Restaurants, nightclubs, birthdays, weddings, Persian TV, Egyptian TV, I’m continuing to develop my craft and build a career in World of Belly Dance. lizing at. They have my background check, I can provide you their contact info if you want to check me out. Can't find a teacher in Calabasas, CA? Students are raving about their Method Acting instructors on TakeLessons. Check out some of these recent reviews. r goals are when it comes to acting." "Great instructor and great listener. Jeremy will be a supporting and friendly coach while helping you to achieve your goals as an actor." Los Angeles, CA teacher: Jeremy K.
Jan was able to coach me both strategically as well as on every level of detail. I would recommend her to anyone."